Welcome to Simple Snacks! This feature is a place for simple snack ideas that are healthy, easy, and satisfying. To visit past snacks, click here. As you read this John and I will be on our fourth big road trip (San Francisco to Denver, full recap when we return!). One of the most important things about a road trip is having a well stocked car. This includes all of the essentials (like gas, toll money, and a GPS, duh) as well as snacks. Depending on the trip, we have driven up to 8 hours in one day in the middle of nowhere. In those parts of the country (there are many!!) there aren’t any gas stations or roadside stops to stock up on snacks (or sometimes even meals). Plus, even when there are, I like to control the quality, portion, and ingredients of the snacks we’re eating on the road. So, we bring our own. Here is what I prepped for Road Trip #4. 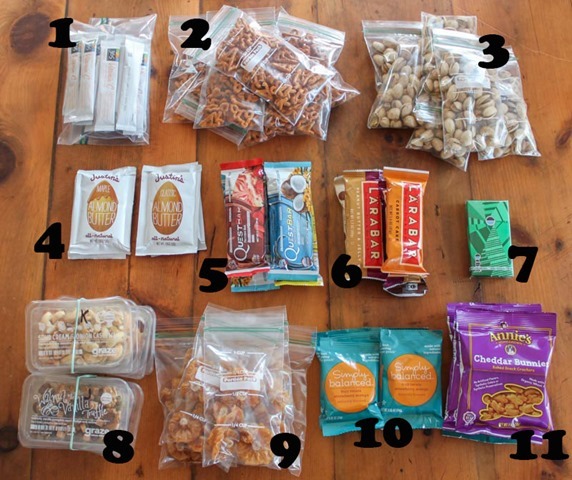 First things first, my road trip snack guidelines. The snacks I bring for us on the road need to be relatively healthy. No chips and candy bars here. We don’t eat that stuff on a daily basis anyway so why would we do it on the road? What I look for is food that will give us sustained energy for those long stretches between meals. In other words, snacks that are low sugar, high protein, and as unprocessed as possible. Unprocessed is hard because everything we bring needs to be shelf-stable, obviously. But I look for things without tons of crazy chemicals, stabilizers, and as few ingredients as possible. I also try to buy organic when I can. I start prepping snacks a few weeks in advance. I pick up a few things here and there and stash them away. This obviously leads to snack chaos so the first step is get organized. 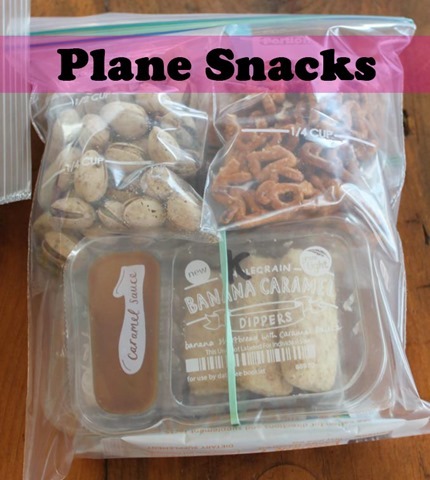 Next I pack the snacks into large ziplock bags. Why plastic bags? A few reasons actually – weather (extreme temperatures and humidity can spoil snacks), bugs (you don’t want any pests getting at your stash), leakage (the packaging can open and if it does, you contain a mess) and just generally for organization (I’m super type A and think it’s easier to find something if I have a system for where it is). As you can see here, all of these snacks fit in three bags. 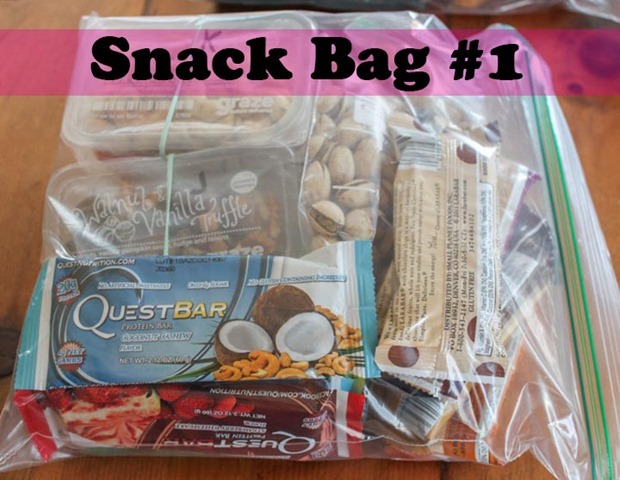 Snack Bag #1 holds all of the heavier items like nuts, protein bars, and our Graze box packs. I keep these items separate from pretzels and crackers because they would just crush them all. 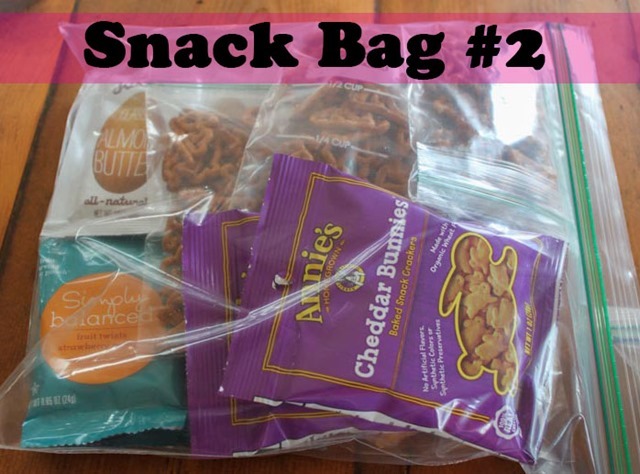 Snack Bag #2 holds the lighter items like dried fruit, crackers, pretzels, and almond butter. I don’t squeeze out the air when I zip the top of the bag because it adds to the padding and keeps these snacks from getting crushed. And lastly, the third bag, is a smaller bag reserved for Plane Snacks. For this trip we are flying to San Francisco and then picking up our rental car to drive to Denver. Snack Bags 1 & 2 will be packed in our checked luggage and not opened until we’re on the road. 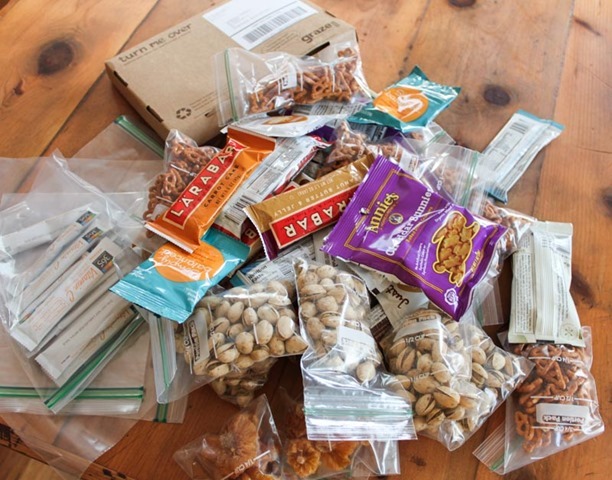 In a situation like this, I like to take 3-4 snacks items just for the plane (here a Graze pack for each of us, pistachios, pretzels, and two Vitamin C packs). 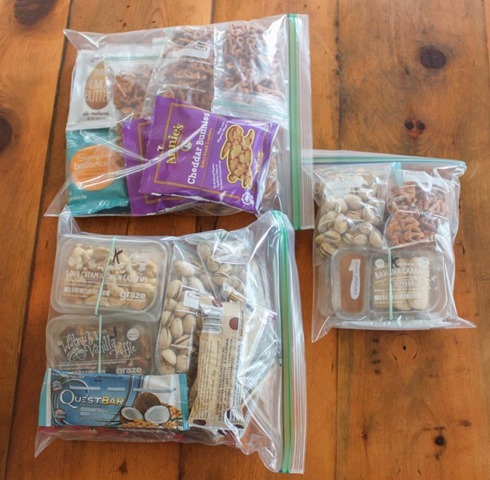 There you have it – my favorite road trip snacks and organization tips! What do you like to bring for snacks on the road? How do you keep them organized?